Professional Coaching can be described as a relationship in which a trained coach uses specific skills to work with a client to help them achieve personalized life or business goals. They key word is relationship as the coach and client work together using the clients internal wisdom to move forward and create the desired results of the client. Most clients hire Certified Life Coaches because they want to create more success, fulfillment or balance in their personal or professional lives. Further, clients often want to create these results while maintaining balance in all areas of life. Life Coaching has grown in popularity as both businesses and individuals increasingly use Life Coaches to make changes, obtain goals and create higher levels of life and work satisfaction. Certified Life Coaches use a specific skill set to engage, empower, motivate and challenge clients to make a positive difference in their life, organization or business. Their life’s work revolves around helping clients find whatever it is they seek to make life or work better. So how does that happen? Using the coaching process, clients increase their knowledge and learning, improve performance and deepen the quality of their life experiences. Despite its growing popularity, Life Coaching is still new to many people who are exploring the idea of hiring a coach. Because people often associate coaching with other fields, such as therapy and consulting, it is important to make the distinction between coaching and these other fields before we talk about what a Life Coach does on a daily basis. When asking the question, “What is a life coach?” it is important to distinguish life coaching from similar fields that may appear identical from a distance, but are actually quite different. Let’s go over some of those now. Therapy (seeing a counselor, psychologist or psychiatrist) is often rooted in the client’s past. The role of the counselor is to analyze the client’s past, fix immediate problems, and address mental illnesses. Also, coaching is present vs. past oriented. A Life Coach may look at the past to learn from challenges or mistakes, but will not spend much time there. A Certified Life Coach is focused on the client taking action in the present. This is done through a series of tools and assignments that keep the client moving forward in a positive direction. While both coaching and therapy have important roles to play, they are very different. You can actually have a Life Coach and a therapist at the same time depending on your specific issues and goals for moving forward. A Life Coach can help you internalize the work you do in therapy and apply it to your life moving forward so that you create lasting changes or habits. Consultants have specific knowledge in their area of expertise and make recommendations to their clients based on that knowledge. A Certified Life Coach will never make recommendations to you based on his or her expertise. Coaching philosophy is based on the concept that the client knows themselves best and will benefit by working together to create solutions for moving forward. So rather than tell you how to run your Flower Shop, a Life Coach would work with you as the expert to create strategies for your success. Motivational Seminars and products are great tools to get you motivated, but they often aren’t personalized to your specific goals. While part of the Coach’s role is to motivate you, that part is only one component of their offerings. The goals of coaching are to help you realize your internal motivations and use those to propel you forward to success. Of course you can use motivational products and coaching at the same time, but the products will not stand in place of the coach. Coaching provides tailored results geared to your specific goals and aims to create lasting results. One of the key attributes of a great Life Coach is the ability to be impartial and nonjudgmental with clients. Coaches will risk your business to be honest with you in every way. While someone close to you such as a close friend, romantic partner or boss may seem to offer good advice, they may not be willing to risk the relationship by being completely honest with you (Think- “white lies”). Coaches are trained to focus totally on your without regard for how what you are going through affects them personally. A Life Coach is also not your boss or manager. Coaches will not tell you what to do and do not gain anything from their clients trying to impress them as they would a boss. No one is as impartial as a good Life Coach. That’s one reason most coaches don’t take on friends and relatives as clients! Personal Athletic Trainers are focused to train the physical body. They know the ins and outs of different types of training, eating and living to create optimal physical results. They can (and should be) very motivational. Your trainer can also see when you might be getting bored will change the routine to keep you moving forward. It’s the same concept with Certified Life Coaches, but coaches focus on inner goals and living the life you want. You could effectively use a Life Coach and a personal trainer at the same time to reinforce your external results (body) with your internal results (mind and attitude). No one NEEDS a coach but almost anyone can benefit from having one. Partnering with a Certified Life Coach is a great way to increase the energy around you and build momentum. Unfortunately, most people put their own needs, goals and dreams on the back burner when something more pressing comes along (family issue, work demand or personal challenges). For this reason, the “Do It Yourself” plan doesn’t always last for the long haul. Let’s face it, if we were all great at self discipline and success planning, the diet and fitness industry wouldn’t be a multi-billion dollar machine. Further, even the most disciplined and goal oriented people can get overwhelmed by their own ideas. It helps to have a Life Coach help you sort things out, develop a strategy and make it happen. Group Coaching: Coaching groups of individuals at the same time on a shared goal or theme either by phone or in person. Executive Coaching: Coaching Business Executives on topics such as leadership, business strategy or anything pertaining to the responsibilities of a high level leadership position. Executive Coaching is often face to face, but it can also be done via phone and video conferencing. Corporate Coaching: Focusing coaching services for companies or organizations to assist with strategy, human resource management, change processes or other business related topics. Coaches may work with executives, managers and employees individually or in groups. Small Business Coaching: Coaching small business owners on all facets of owning and running a small business. Typically, small business owners wear many hats in their company, so having a coach can help them organize and strategize their thoughts and processes. Career Transition Coaching: Coaching individuals as they go through the process of finding new/different employment. Clients may include those who are seeking change on their own or clients who have been laid off or let go from employment against their choosing. Life Coaches also use their skills and expertise to create training programs for businesses and organizations, write books and publications, teach courses and speak for groups of people. There is no limit to what you can do as a Certified Life Coach! If you haven’t ever hired a Life Coach, it’s a great idea to do so before becoming certified as a life coach. You will get to see first hand what the coach-client relationship looks like and also understand the value of having a Certified Life Coach. 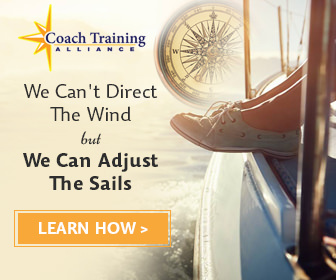 All Certified Life Coaches through the ICF use coaches throughout their training and many continue to hire coaches after obtaining certification. 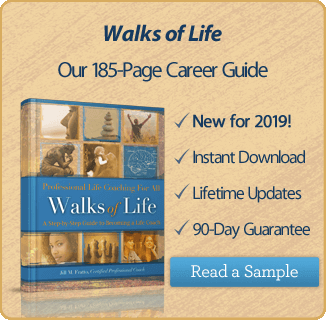 Not only do they get the return on the investment from having a Life Coach, but they are also “walking the talk” as they offer coaching services to clients. What Qualities make a Great Life Coach? People from all walks of life and professions are attracted to Life Coaching. Certified Life Coaches have backgrounds such as business, healthcare, personal training, education, even science and technology. There is no one background that attracts people to coaching. There are common traits; however, that coaches possess. Do you recognize any of these traits in yourself? Life Coaching can be a fun, satisfying and successful career and often offers flexibility and a high quality of life. If you are looking for a positive change and meaningful career, Life Coaching Certification may be your answer.